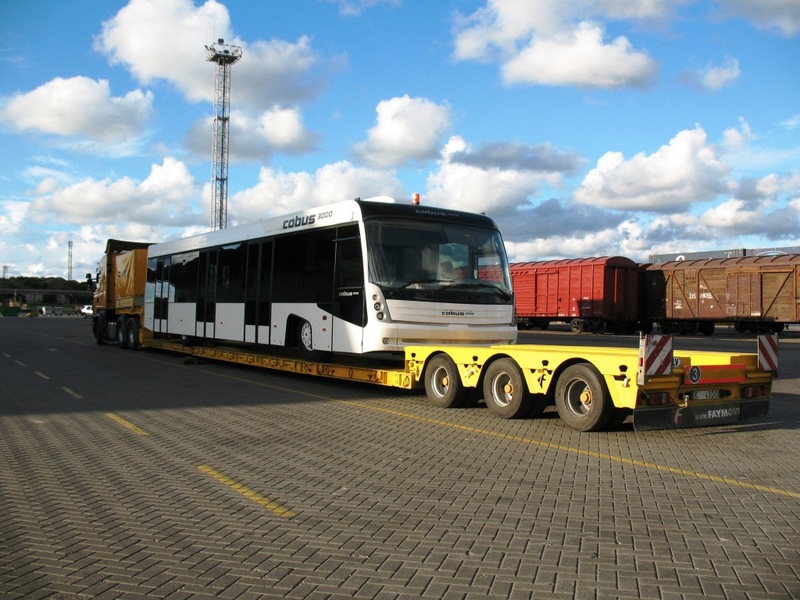 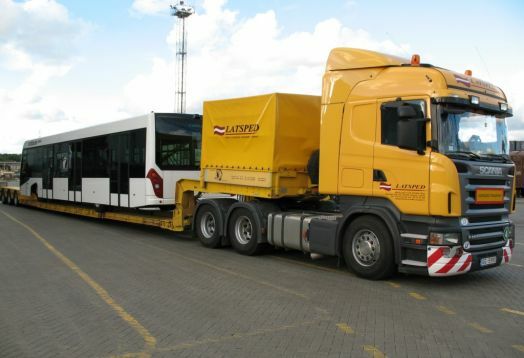 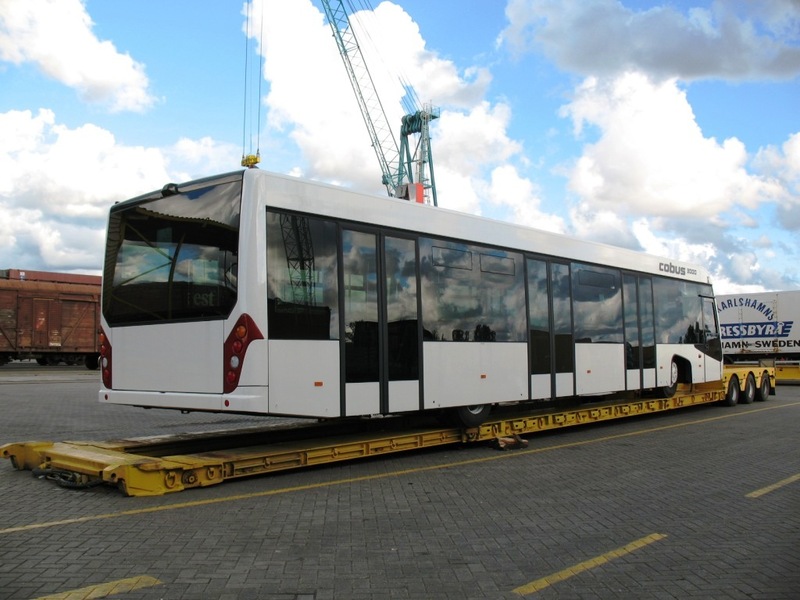 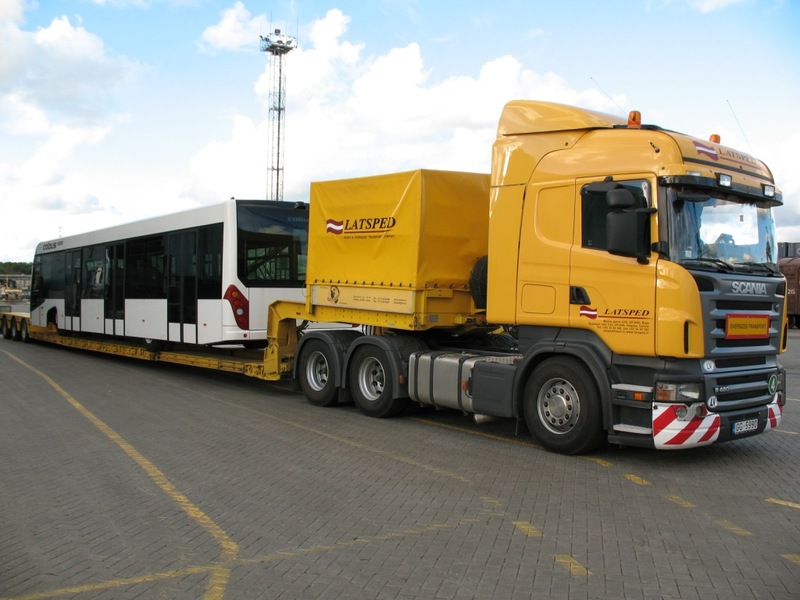 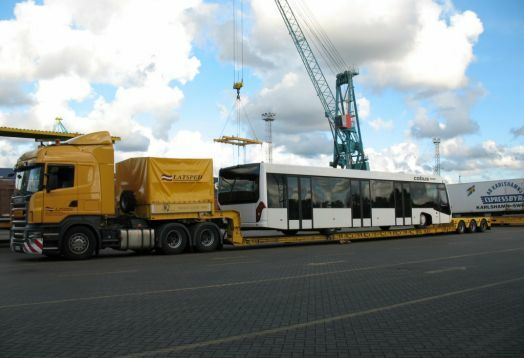 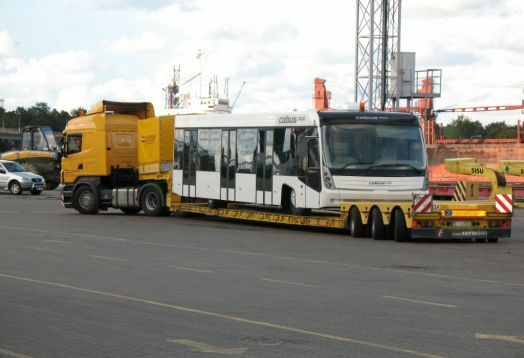 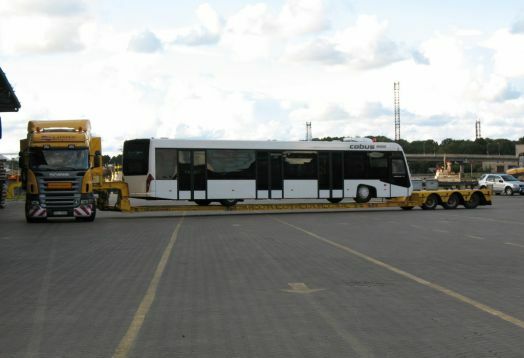 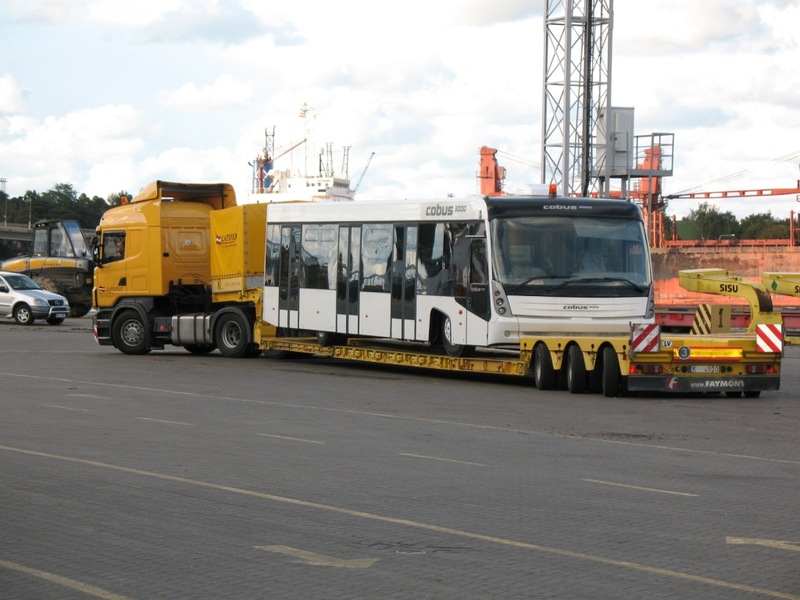 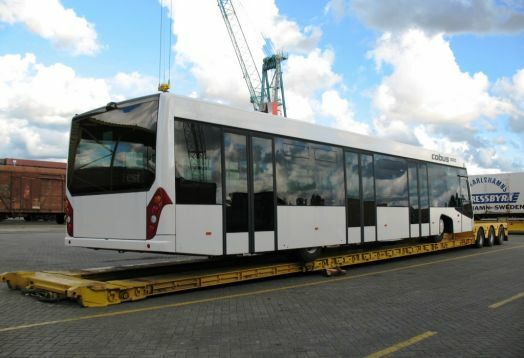 In summer of 2007 LATSPED received an order for the delivery of a large number of buses to various airports in Russia. 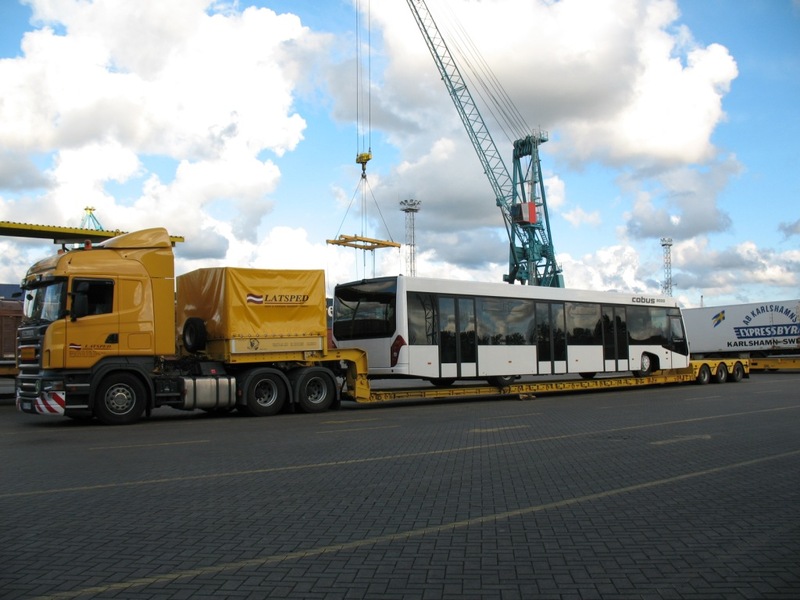 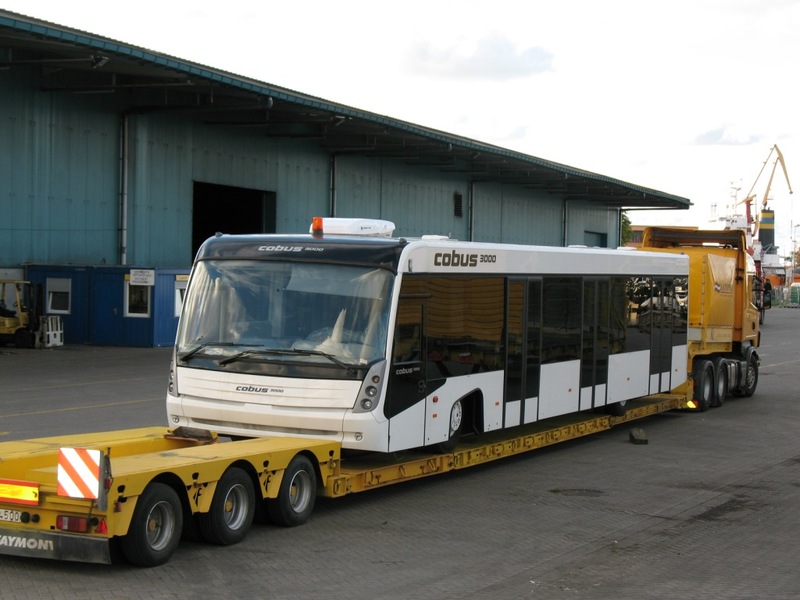 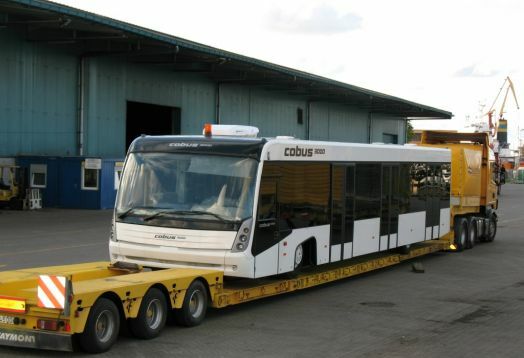 COBUS 3000 bus model has a very low ground clearance of around 10-12 cm, which was complicated because the client wanted to implement the loading/unloading of the buses by pulling in and out. 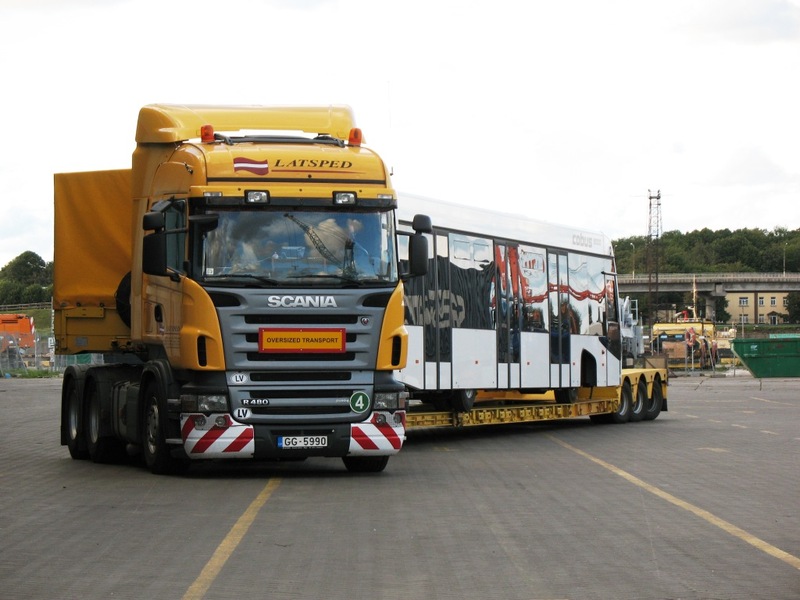 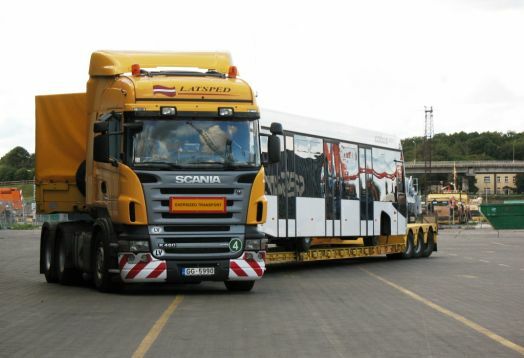 Our equipment can afford it, because we have the opportunity to «unfasten» the semitrailer for pulling in and pulling out. Also, the customer’s willingness to save money enabled us to carry 2-3 vehicles in a single lot, thus not overpaying for traffic along the length.